The UK government has reached an agreement with Kuwait to establish a military base in the tiny Persian Gulf country, local Kuwaiti media reports claim. Kuwait’s Al Rai newspaper first reported, citing unnamed diplomatic sources, that officials from both countries were scheduled to meet Thursday to discuss cooperation between the two sides, including in military, security, economy, culture and education, according to Middle East Monitor. Kuwait’s Al-Qabas newspaper also confirmed the report, citing its own unnamed sources, noting that the base was about to begin work soon albeit in a limited capacity. Neither Kuwaiti nor British authorities commented on the report. 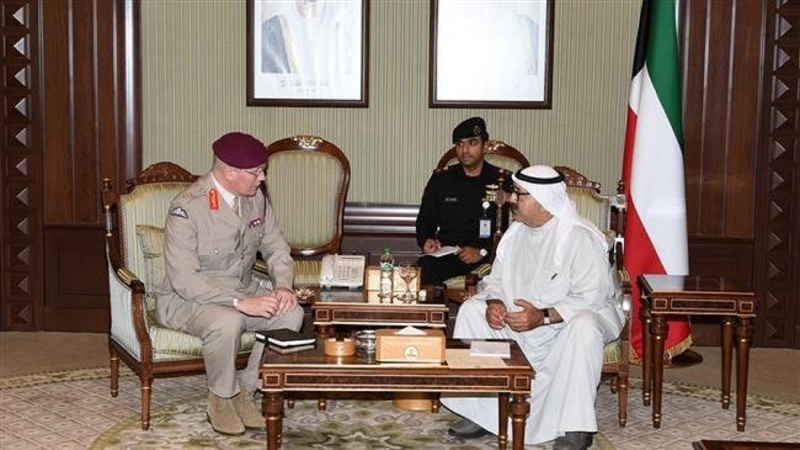 British Ambassador to Kuwait Michael Davenport had signaled in October that the two side were going to discuss the operational and logistic aspects of a British military presence in Kuwait once they meet in December. “We’re looking at all the possibilities. We’re not talking about a major deployment I don’t think, but we’re looking at what might work for both the United Kingdom and for Kuwait. As I say, it’s at a very early stage,” he said then. Al Rai quoted Kuwaiti Deputy Foreign Minister Khalid Al-Jarallah as saying that the future British military base had nothing to do with a long-running border dispute between Kuwait and neighboring Saudi Arabia. In 1922, the two countries agreed to establish the Partitioned Neutral Zone (PNZ) to settle a territorial dispute over shared oil resources. According to estimates by the US Energy Information Administration and the Oil and Gas Journal, the 6,200-square-mile area holds 5 billion barrels of oil and 1 trillion cubic feet (Tcf) of natural gas. If true, this will be Britain’s second military base in the Persian Gulf region next to the UK Naval Support Facility in Bahrain’s Salman Port. That base is also located off the coast of Saudi Arabia and has room for up to around 500 Royal Navy personnel, including sailors, soldiers and airmen. Earlier this year, when the facility was officially opened, London said having a base in the region allows the UK Royal Navy to carry out longer-term deployments in the Persian Gulf and makes it easier to provide engineering and logistical support for British ships there. British warships, specially the fleet of advanced Type 45 destroyers, have been struggling to stay afloat in the Persian Gulf’s warmer waters. Constant power failures have on many occasions forced the £1bn warships of this specific class to sail back to the UK and undergo repairs.